It often feels like so much of balcony gardening comes down to waiting on the weather. More than one post on this blog has pivoted on the intemperate turns the weather has taken here in Chicago. And some of my weather adventures in my small-space balcony garden high above the city streets have bordered on slapstick—at least in retrospect (smile). Not quite as funny in real time when I was scurrying about in overpowering winds trying to right terracotta pots only to have them be knocked over again moments later. Or when I was squinting against blinding rain and being pelted by accompanying balls of icy hail while trying to rescue tender plants and bring them inside for temporary shelter till the storm passed. 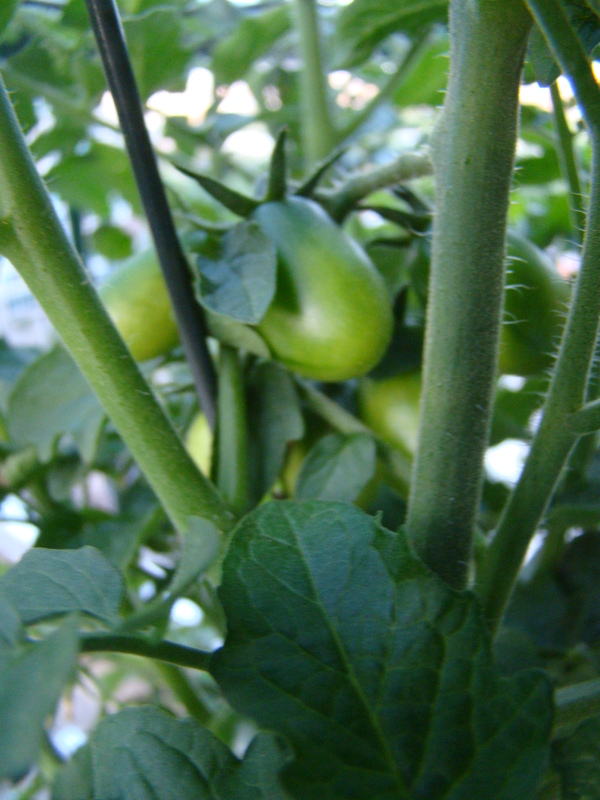 Top: Yellow flowers gave way to these black cherry tomatoes; can’t wait for them to ripen. Above: Basil ready for the picking! The most recent challenge was the unmitigated heat that dared us to keep plants duly saturated over the course of a couple weeks while waiting for some relief from the weather deities. Luckily it was followed by a cool down here, with rainy mists punctuating several days last week. Nonetheless, it got me thinking about how some areas aren’t always so fortunate; and about the potential damage the current drought in our Western states could do. I also thought about how in the extreme, prolonged droughts have resulted in famine in regions across the globe. It definitely makes me appreciate farmers and their fortitude all the more. Imagine the challenge of keeping crops sufficiently irrigated through long periods without the added relief from mother nature’s tears. So when you hit the farmers’ markets this weekend, savor the fruits (and veggies) of their diligent labor on our behalf. [Click on photo to enlarge] Watering through the heat resulted in lush planters. My own edibles and flowering plants came through the heat with flying colors after lots of late-night saturation. All those bare spots in my flower boxes filled in completely and are lovely and lush. 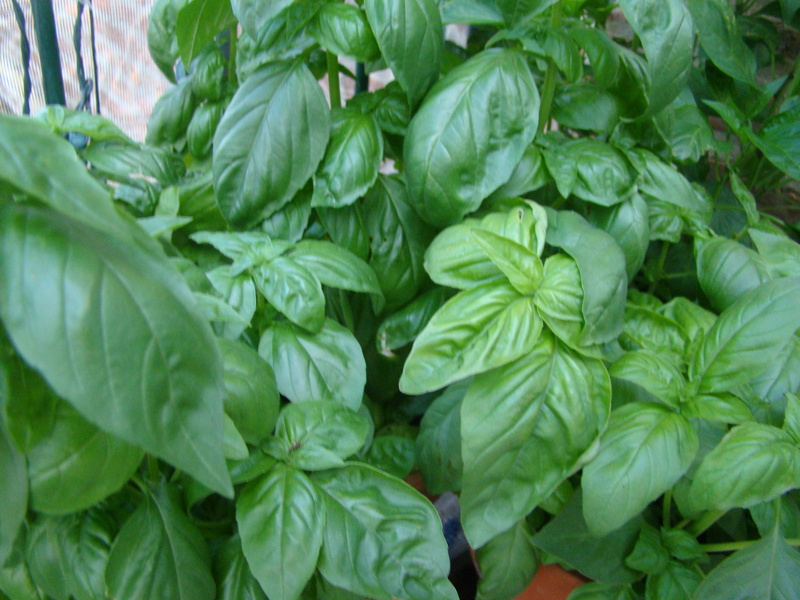 And my basil is bountiful and offering itself up for my first batch of pesto. And as for my tomatoes… both my black and yellow cherries have flowered and the first fruit have emerged on the former. What are your favorite edibles from the garden so far this season? Has the heat wave taken a toll on your patch of green? Let me know below!